HTC has "disruptive" plans for its future device offerings, with new smartwatches and tablets in the works, according to executives. Apparently many consumers don't actually care what critics think, as the phone didn't sell terribly well. Still, HTC isn't eager to jump into anything. That applies especially to wearable tech like smartwatches, an area being explored with mixed results by competitors like Samsung. Samsung's Galaxy Gear has been met with mixed response so far, and HTC's leaders aren't oblivious to that fact. "It has to meet a need, otherwise if it's just a gimmick or concept, it's not for people's day-to-day lives. That is an opportunity for us," Chou said of HTC's own smartwatch plans. "People laughed at us when we came out with the first smartphone… Now everyone has a smartphone. I'm pretty sure wearables will be the same, but don't judge from what is in the market [now]." 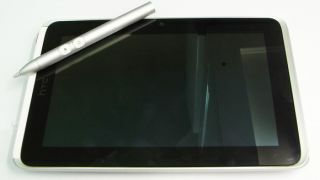 Wang added that more HTC tablets are in the works as well, despite HTC's earlier tablets, like the HTC Flyer, not being successful. "When the tablet comes out it will be something nice and disruptive," Wang said. TechRadar asked HTC if it has anything more official to share about its tablet and wearables plans, and we'll update this story if we hear anything useful. TechRadar laid out the 10 best Android phones available right now!